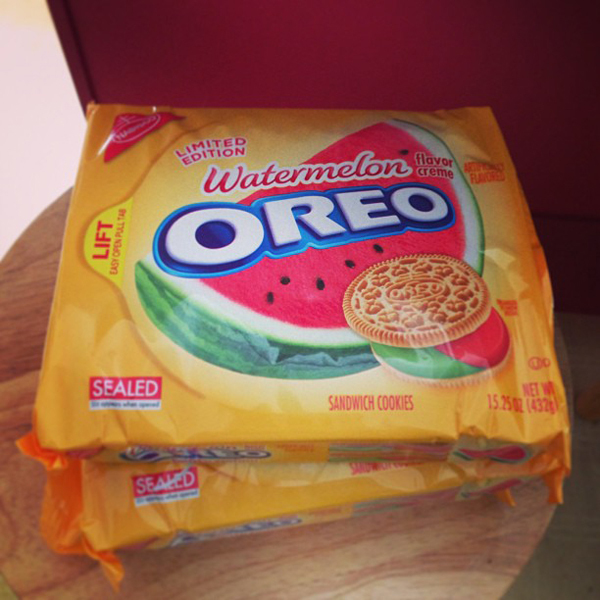 A Facebook friend of mine sent us a goodie package with these Watermelon Oreos inside. What a thoughtful sweet treat! It definitely sounds unusual, but the watermelon isn't super strong, so it isn't overwhelming. Glad I got a chance to try them!